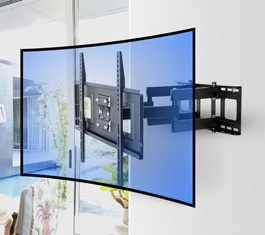 Welcome to StandsOnline.com, your trusted source for home entertainment and media storage solutions, including TV stands for flat screens, TV wall mounts, speaker stands, audio video racks and modern audio tower furniture. You'll find the best styles and all the top brands, including BDI, Bello, Sanus and more. 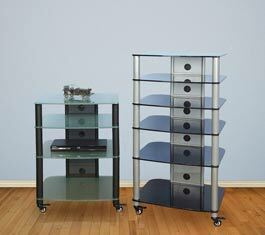 Organize and maximize your space with bookshelf speaker stands or beautifully beveled glass audio-video rack shelves. Let us help you create the ultimate home setup with dozens of choices in TV stands for flat screens or a brand new electric fireplace TV stand! 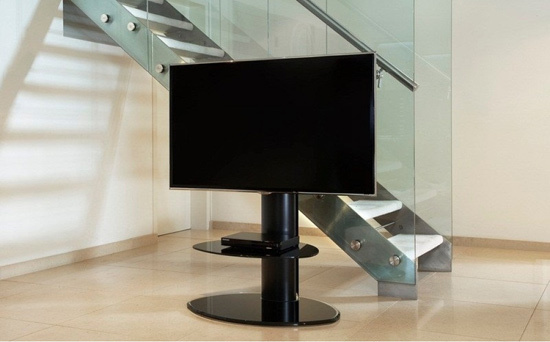 Bello offers a full line of tv stands, audio furniture, video furniture, home theater furniture, and entertainment centers. Stands for LCD, plasma, DLP, projection, and speakers. Bell'O contemporary furniture is constructed of combinations of three different types of materials: metal, wood, and glass. All metal is covered with a high impact, scratch resistant, powder-coated finish. 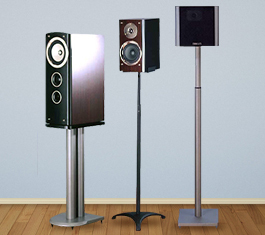 Sanus Systems manufactures a broad variety of stands for audio, video and other interior furnishings. Wall mounts and accessories that will satisfy even the most demanding A/V enthusiast or interior designers. Starting with the companies tradition in audio mounts for hanging speakers from walls or ceilings, today's range of OmniMount products includes speaker stands, TV mounts, flat panel mounts, audio/video storage racks and entertainment centers for hi-fi. TV components for two channel audio, home theater in a box, or even the latest in flat panel displays. 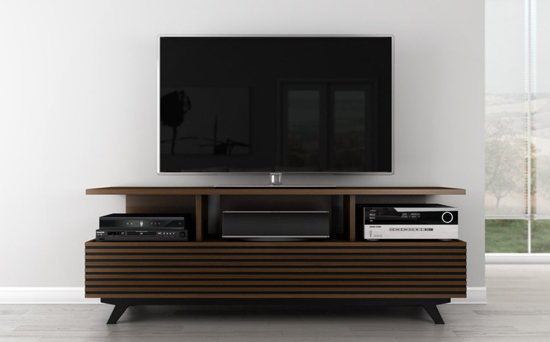 Plateau Synonymous with style, form and functionality, PLATEAU Corporation continues to create the best Audio / Video / Home Theater furniture systems. With state-of-the-art design and using only the finest materials, we succeed in bringing to you unique furniture systems. 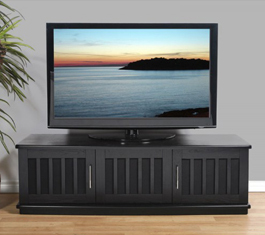 PLATEAU furniture systems are easy to assemble, incredibly durable and are specially designed to highlight your audio/video system. Off The Wall is a UK brand that has provided innovative audio visual furniture to the European market for over 10 years. Off the Wall designs and manufactures products directly for leading television brands, bringing together design and engineering excellence to produce a unique, stylish range of furniture. Furnitech - Highly versatile and precisely engineered. Furnitech's innovative solutions for today's entertainment technology are a perfect compliment to your style and taste. These distinctive yet functional designs are meticulously crafted from the finest Brazilian hardwood solids and veneers.